TeamWave lets you sync all your TeamWave’s contacts with Google contacts and vice-versa. Enable Google services using the toggle switches. Select google contacts checkbox and your contact will be synced. You can disable Google contacts sync any time by unchecking google contacts. 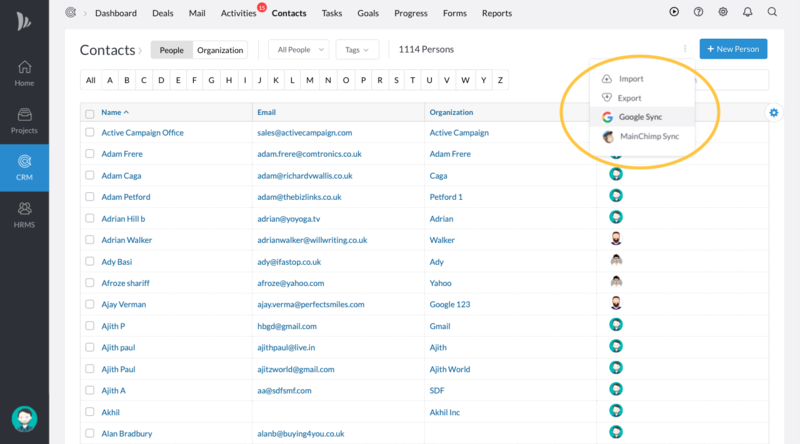 This is two-way manual sync, the contacts in TeamWave will be updated in Google Contacts and vice versa. And one-way automatic sync, i.e, whenever contact is created/updated in TeamWave, it will be automatically synced with google. But, when a contact is created/updated in Google, you need to manually sync google contacts with TeamWave.